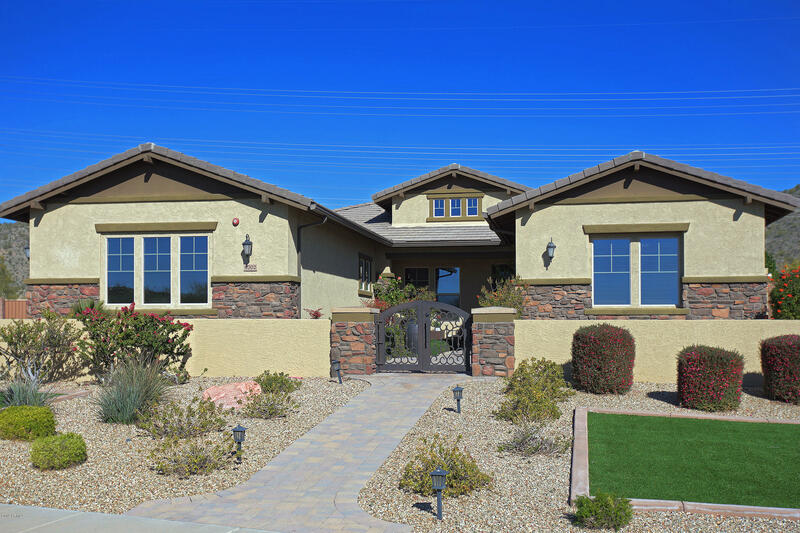 All Vista Montana homes currently listed for sale in Peoria as of 04/23/2019 are shown below. You can change the search criteria at any time by pressing the 'Change Search' button below. "Located in the gated community of Vista Montana, this beautiful custom residence features over 4400 square feet and fabulous mountain views. Perfect for indoor-outdoor living, this home is spacious and bright and all one level. Gorgeous gourmet kitchen featuring custom cabinetry, granite counter tops, stainless steel appliances & casual dining nook overlook the backyard views. Multiple guest bedrooms and an amazing basement with kitchenette are perfect for entertaining while the inviting master "